It’s that time of year again. The IPMS USA National Convention is less than a week away. Christmas for scale modelers! I’ll be attending the convention for the fourth year in a row – this year it's within driving distance – and I couldn’t be more excited. Well, I could be more excited, but not by much. What am I looking forward to? First and foremost, looking at a helluva lot of models! I enjoy seeing models online throughout the year, but nothing beats seeing them in person. I always come away inspired and motivated. I’m particularly eager to see what shows up in the Miscellaneous categories; there are always two or three that surprise me with their creativity. I’m looking forward to the vendors. 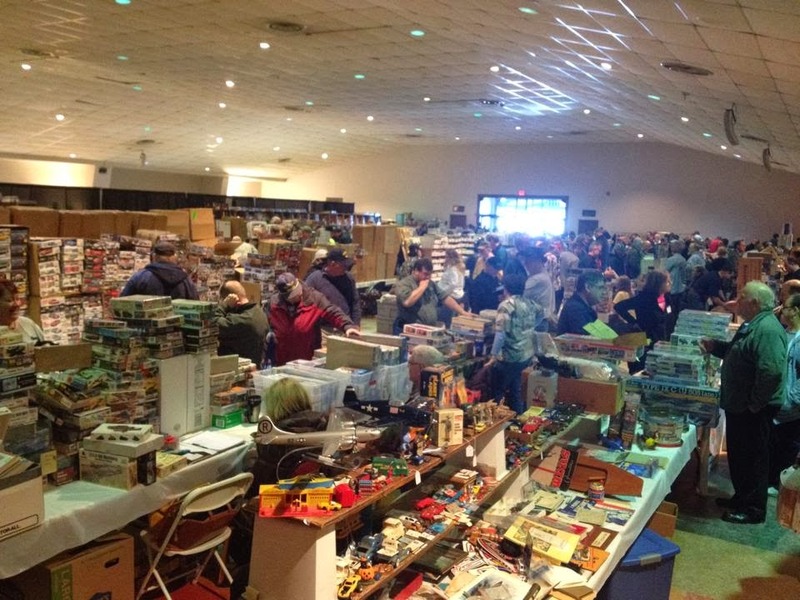 I’ve been in the hobby long enough to have practically everything I want (and if I don’t, I can usually find it online), but it’s always fun to browse the vendors room and discover things I wasn’t really looking for. I’m excited about seeing the new Airfix 1/24 Typhoon in the flesh, eager to see what new tools John Vojtech brings, and looking forward to seeing Click2Detail’s products for the first time. I’m looking forward to entering my models in the contest, which is something you should do, too. My models have flaws for sure. I know they’re not going to be competitive, but I appreciate the opportunity to share them with other modelers who, I hope, will enjoy seeing them, and my $35 registration fee plays a small part in supporting the convention. Even though it’s an obligation and a challenge, I’m looking forward to judging. I was an “OJT” last year, so this time around I get to be a full-fledged player. (In truth, an OJT's observations are taken just as seriously as those of the certified judges.) With the possible exception of watching a master modeler at work, nothing will make you a better modeler than judging. I'm going to learn a lot. I’m looking forward to seeing my friends, David, Lonny, Bruce, Jason, Mark, Adrian, and others whose attendance will surprise me. I’m also looking forward to the seven-hour road trip. I’ve already started to assemble my music playlists! If you’ll be at the convention, look for me and say hello. Like modeling itself, blogging can feel isolating at times, so it’s always a pleasure to meet folks in person. Until then, happy modeling or safe travels. As i live in the middle of the Atlantic, in the Azores, going to such an event is quite a happening. I´m planning to get to US next year or so, and participate on all this modelling celebration! the model of the world trade center brought back memories. In 1970, while a collage student our class toured the World trade center under construction. They had a model of the towers and the surrounding buildings. The Towers were at least 6 feet in height. Fast forward to 2001, while a project Architect for Victoria Secret, who had a store in the final phases at the Mall of the Trade Center, it was my task to attend project meetings on Tuesday mornings, and I would pass the Model again it was still on the 80th floor. My last meeting and view of the model was the tuesday before 9/11. But I took my family that week to NYC for a vacation, and we were there that epic day. It's wonderful that a person would model a such a landmark and bring back memories of my youth.